Photo Plus Opened today, Cowboy Bob warms himself prior to the morning ride over to the NYC Jacob Javits Center. 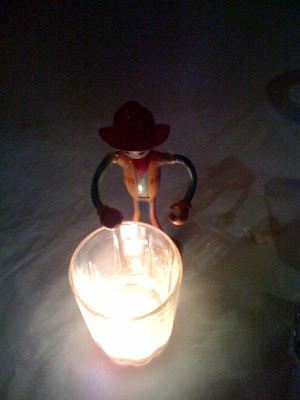 Cowboy Bob is so excited to help show off the new FourSquare. Bob loves the big city …….Yeeeeee Hawwwwww.